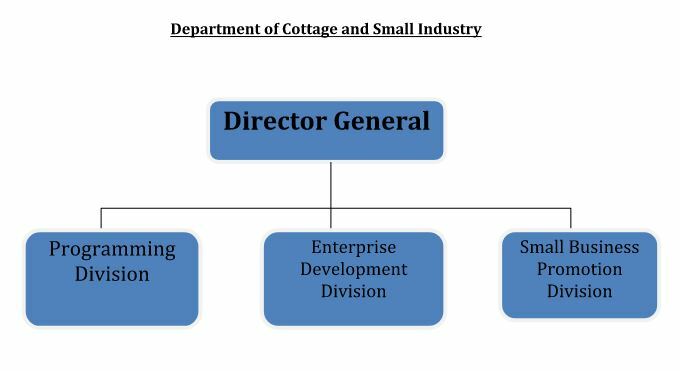 The Department of Cottage & Small Industry (DCSI) was established under the Ministry of Economic Affairs (MOEA) in July 2010; with the appointment of a director and transfer of staffs from the erstwhile MSME division of the Department of Industry (DoI). Considering the fact that more than 95% of the industries in Bhutan are small and cottage scale, the Royal Government created this department to spearhead the development of cottage and small industry in the country. Its head office is located within the MoEA complex, Thimphu. Guided by the philosophy of GNH, to become a premier agency promoting growth of a vibrant and sustainable cottage and small industries contributing to the overall socio-economic development of the country. To create an enabling environment to facilitate and support sustainable growth and development of Cottage & Small Industries (CSI) in the country for equitable income distribution, employment generation and balanced regional development. 1. Initiate and articulate policy ideas for growth and development of Cottage and Small Industries(CSIs). 2. Formulate CSI development policy to encourage the growth of CSIs and advice the government on fiscal and monetary issues related to CSIs. 3. Work in concert with other institutions in both public and private sector to create a good enabling environment for business in general, and CSI activities in particular. 4.Stimulate the development of the CSIs through creation of enabling environment, provision of business development services, facilitation of development programmes and support services. 5. Identify business opportunities on the basis of supply and demand gap, environmental scanning and linkages. 6.Conduct sector studies and analysis for sector development strategies. 7. Improve access to financing through the financial institutions as well as guarantee mechanisms. 8. Promote and facilitate access to industrial infrastructure such as layouts, incubators, clusters and industrial parks. 9. Set up and manage service provider’s database including machinery suppliers for CSIs. 10. Facilitate transfer of technology and best practice in management and operations. 11. Disseminate vital information and skills to CSIs by conducting and facilitating seminars, workshops and training programmes. 12Intermediate between the CSIs, Governments and the Private Sector. 1. Formulate a comprehensive policy framework comprising of specific interventions and support measures for CSIs including their implementation modalities. 2. To develop necessary institutional and regulatory framework for the growth and development of CSIs. 3. To conduct sector studies and analysis for sector development studies including a region specific resource inventory to identify the areas of opportunities for CSIs in different parts of the country. 4. Conduct business investment opportunity studies. 5. Preparation of project proposals for donor support. 1. To promote the establishment of Cottage and Small industries, including cultural industries. 2. Development of infrastructure for CSI. 3. Skills development training programme for artisans. 4. Development, value addition and facilitate marketing of CSI products. 1. Liaise with RTIOs to improve business development service delivery. 2. Receive, appraise, and processing of CSI proposals (except FDI) for approval. 3. Maintenance of documentations and statistics on CSIs. 4. Provide advisory and support services to walk-in-clients.